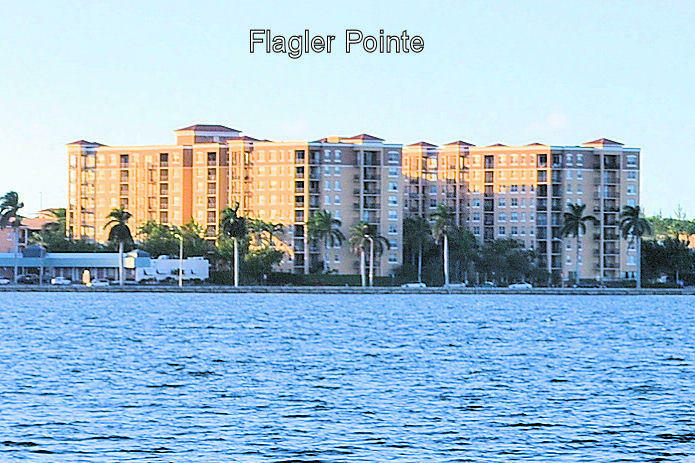 All FLAGLER POINTE CONDO homes currently listed for sale in West Palm Beach as of 04/21/2019 are shown below. You can change the search criteria at any time by pressing the 'Change Search' button below. "BRING ALL OFFERS! MILLION DOLLAR VIEWS WITH THE RIGHT PRICE! TRULY ONE OF THE MOST EXCEPTIONAL VIEWS IN THE CITY, FULL SERVICE BUILDING, WASHER & DRYER, 2 PARKING SPACES, PLUS HIGH END FINISHES, UPGRADED CABINETS AND GRANITE, CUSTOM CLOSETS AND BEAUTIFUL FINISHES THROUGHOUT!" "Paradise perfection in Flagler Pointe with Resort style living. This modern luxury 2/2 remodel is immaculate. Every detail of this home was carefully selected with superior custom upgrades. This sleek, stylish home overlooking the luxury pool and intracoastal is the epitome of Florida coastal living. From the Beautiful Bamboo flooring to the high volume ceilings, this 2/2 split bedroom open floor plan will make you feel at home the moment you open the door. Custom built kitchen and cabinetry with new Stainless steel appliances. Beautifully updated fixtures including remote control touch lighting and ceiling fans.Custom designed shading for every window including gliding roll down shades that cover the newly installed glass double doors. This makes access out your private covered patio"
"Great OPPORTUNITY !! 1071 Sqfs. 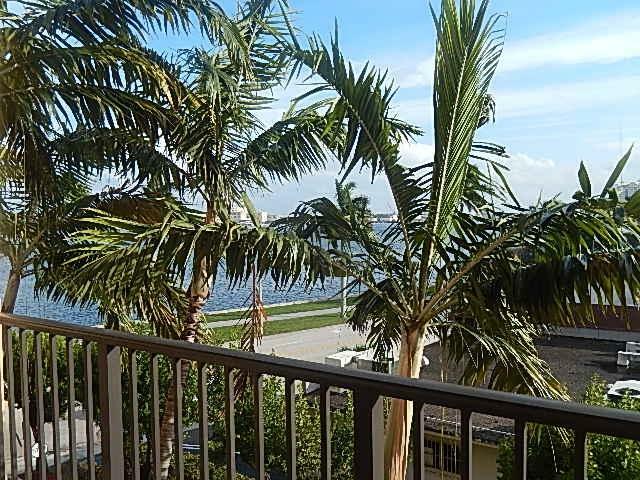 unit with Panoramic views of the water and Palm Beach skyline! 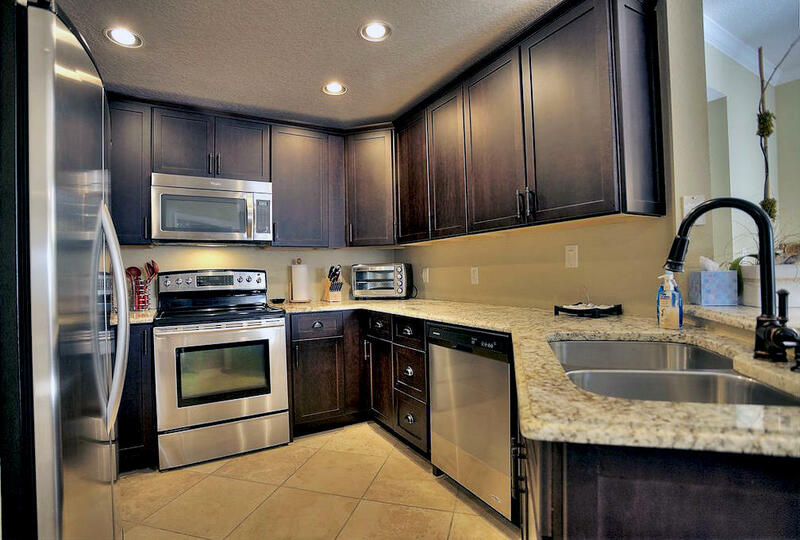 Stainless Steel APPLIANCES, New Wood Floor, Granite countertop kitchen and baths. Concierge 24 hours around the clock security presence, 5 stars Amenities Resident Clubhouse with billiards, big screen TV and private used. Fitness Center, Olympic Size Sparkling Pool, Jacuzzi, Sauna, Gazebo / BBQ Area. Also one DEEDED PARKING SPACE! Great tenant in place paying $ 1600 until 12/30/2019 ." "AC is 2 yrs old, upgraded kitchen and washrooms, tiled throughout, fully furnished. Amenities include beautiful resort-style pool, jacuzzi, putting green, library and business facility. 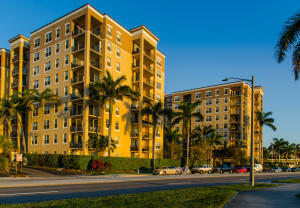 Close to the restaurants, cafes and movie theaters of downtown West Palm Beach." 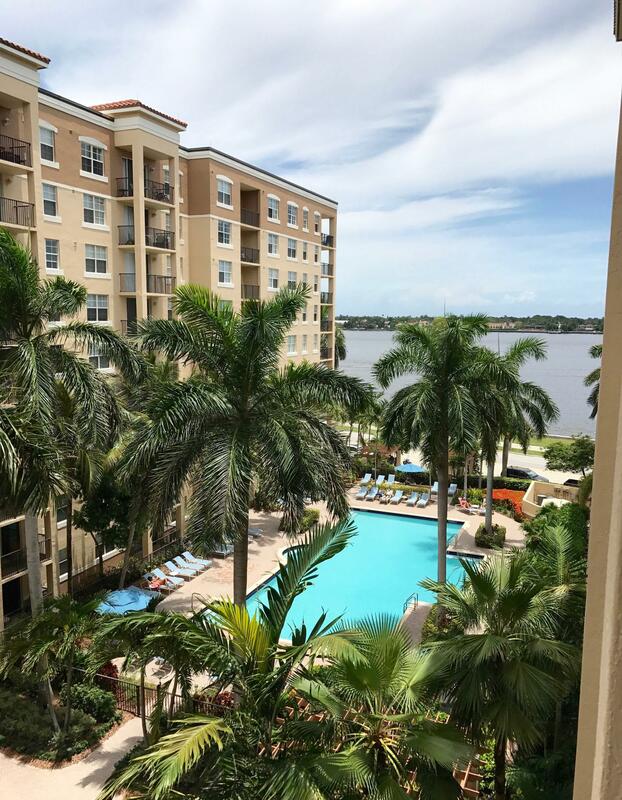 "This Resort Lifestyle is waiting for you, pool, spa, commons area, piano, gym just to name a few... Beautiful 2/2 with NE views of the Intracoastal , seating on your patio you will watch the magnificent boats and Palm Beach Island.What a BEAUTIFUL view of the Intracoastal waterway! Bring just your clothes, this condo can be sold furnished. Tile flooring throughout living area. Upgraded kitchen with granite Countertops. 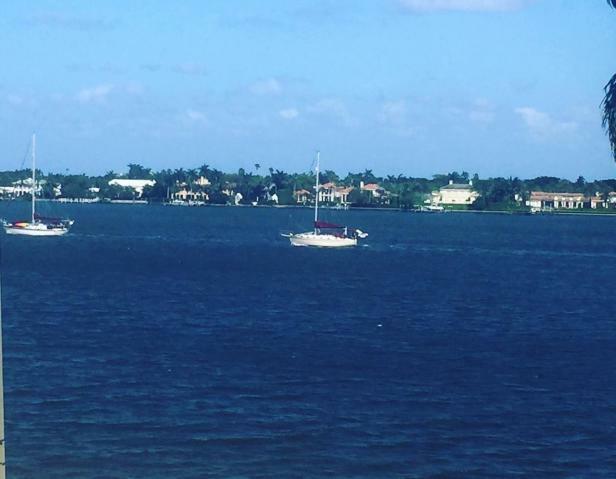 Bldg is directly across Intracoastal & steps away from downtown! Resort style amenities include oversize swimming pool, outside barbecue area with bar for residents, hot tub, sauna, fitness center, billiards table, gated/secure, free Internet, bike storage, inside parking space and business room." 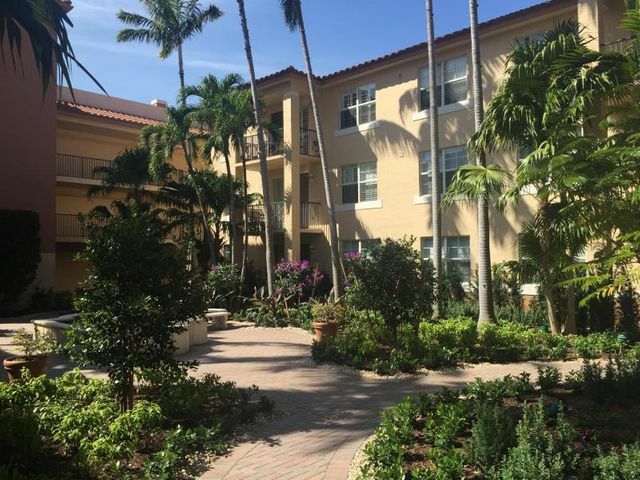 "Amazing 2 bedroom / 2 bathroom near downtown West Palm Beach! Open kitchen to living room, 3rd floor unit, easy access to the amenities in this secure and private building. Community pool, fitness center, hot tub, outdoor kitchen, sauna, business computer center, 24/7 security. Super close to downtown West Palm Beach and Clematis Street! 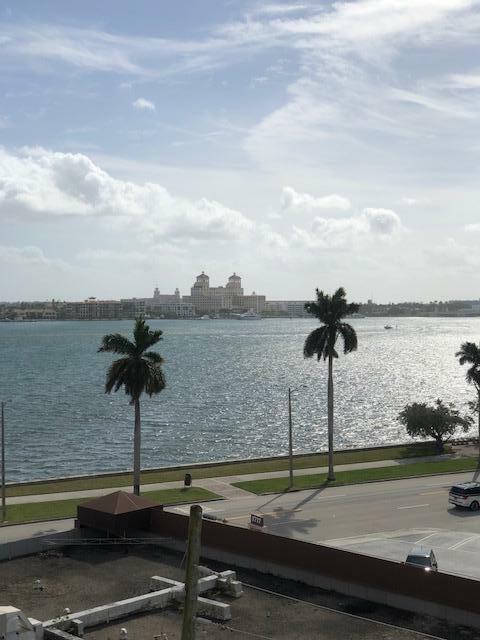 Unit includes washer/dryer"
"Phenomenal lower penthouse unit with breathtaking views of the ocean, intracoastal, Palm Beach Island and the pool! The unit boasts gorgeous neutral color travertine tile throughout and crown moldings. The master bedroom features a custom-built walk-in closet. The bathroom has an upgraded vanity. Flagler Pointe is a fantastic gated waterfront development resting on Flagler Drive across the street from Intracoastal Waterway. It offers great amenities including Olympic size pool, renovated fitness center, clubhouse, billiard room, business center, outdoor picnic and grill area, 24 hour security, gated entrance, covered gated garage and front desk service. 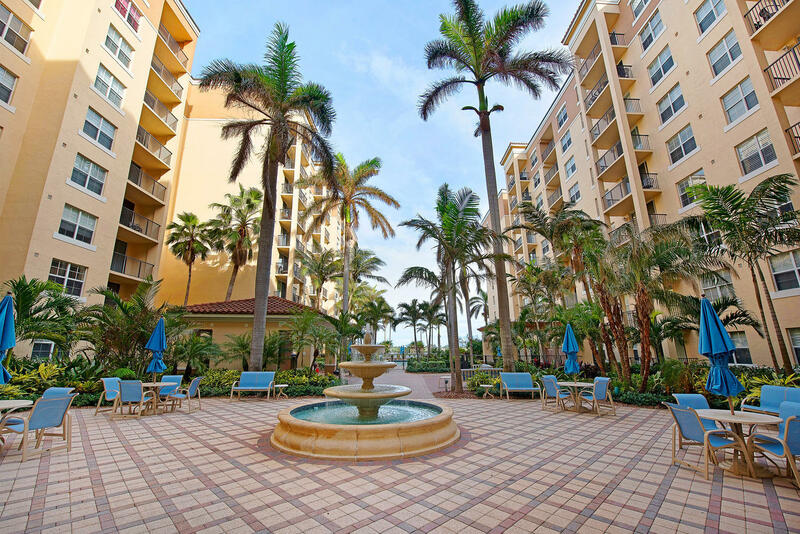 Flagler Pointe is just about 2 miles from the beach, Palm Beach Island, 1.2 mile from downtown West Palm Beach Clematis Street and"
"Resort style living centrally located near everything! Downtown, Outlets, Whole Foods, Brightline, CityPlace...the list goes on and on. Walk out of the condo in the morning to take a walk along the Intracoastal; enjoy a workout in the well equipped gym, jump in the gorgeous pool to cool off after. Then in the evening, head over to Northwood Village to eat at one of the chef owned restaurants. Currently, there is a tenant in place until April 2019. 2 pets up to 25 lbs at full maturity allowed. Washer and dryer in unit." "NEW TO MARKET! This beautiful Condo is ''MOVE IN READY'' & priced to Sell! INTRACOASTAL VIEWS Brand new flooring and freshly painted. All Stainless Steel appliances in the kitchen. Washer and (brand new) dryer in unit. This building is ''small pet'' friendly and even has an onsite dog park! 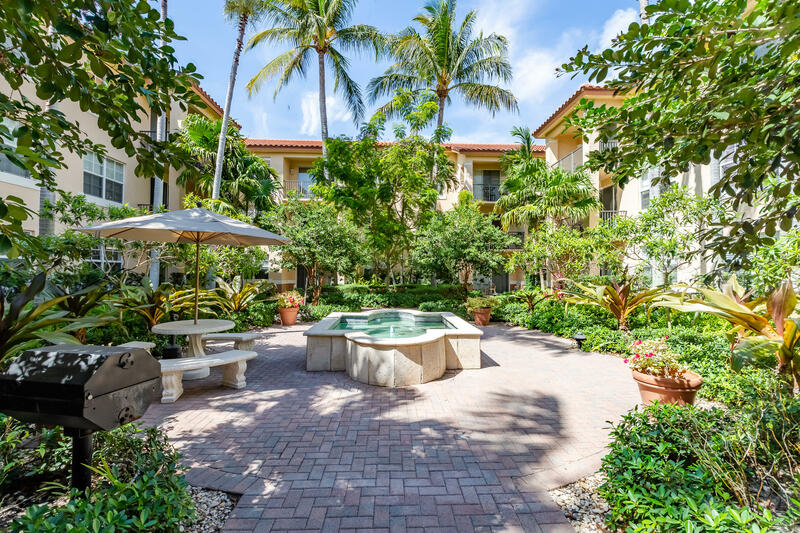 Amenities include: Concierge Service, Fitness Center, Business Center, Billiard Room, Bike Storage, Club Room, Summer Kitchen with Grills and Resort-Style Outdoor Pool facing the Intracoastal. deeded garage parking spot and storage unit. 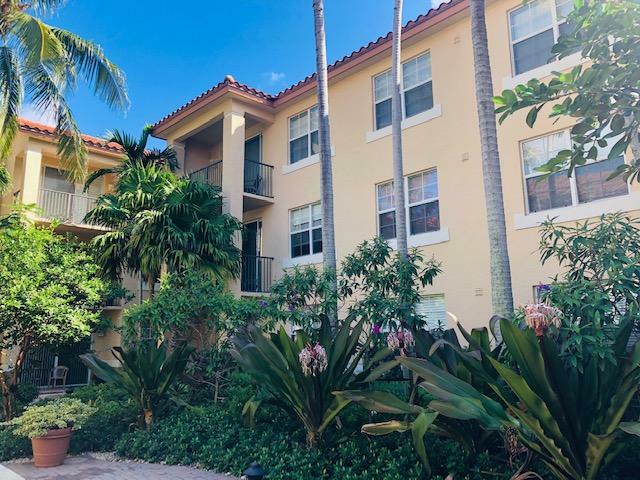 Bike to Palm Beach Island or to the amazing restaurants and entertainment Downtown West Palm beach is known for including: Clematis St., CityPlace, and Kravis Center for the Performing Arts..."
"This stunning 2 bedroom, 2 bathroom condo has been impeccably maintained and updated. 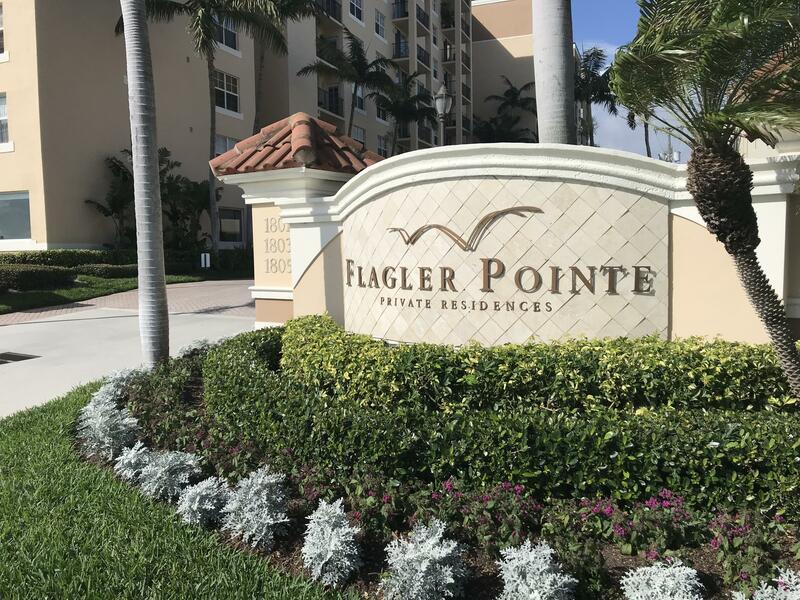 Living in Flagler Pointe offers resort style living with its amazing location less than 1 block from down town, and only a few blocks from the beach! This unit features an open kitchen with breakfast bar, newer carpet, fresh paint, new vanities in the bathrooms, new a/c unit, and more!Amenities include: Pool, hot tub, sauna, gym, billiards, courtyard, valet and more! Location is minutes to the beach, downtown, shopping, restaurants, airport and more. Live like others vacation!" ":Feel like you're on vacation every day! Flagler Point features 24 hour concierge, resort style pool with hot tub, full gym with sauna. Cabana with barbecues. 24 hour security. Clubhouse with billiards room and Business center. This beautiful one bedroom/one bathroom condo is in good condition and move in ready. Great view of the intercoastal from the balcony and the resort style pool, as you have your morning coffee or an evening cocktail. Even has a brand new washer/ dryer in unit and new A/C. Great investment, vacation home or primary residence!" "The largest 1/1 in Flagler Pointe. Upgraded appliances, hurricane glass and freshly painted with new carpet makes this home a gem. The A/C was replaced in 2013 and the hot water heater was replaced in 2017. Additional storage space included. A short distance to the intracoastal waterway, City Place, Clematis Street and the Kravis Center. Resort style amenities include oversized swimming pool, outside barbecue area with bar for residents, hot tub, sauna, fitness center, billiards table, gated/secure, free Internet and bike storage and business room." "Beautiful condo close to downtown West Palm Beach. Well priced until. Covered parking in gated parking garage on the floor of the unit. No stairs if you drive in. Makes a great affordable rental property. Community pool, fitness center, hot tub, outdoor kitchen, sauna, business computer center, 24/7 security. Super close to downtown West Palm Beach and Clematis Street! Unit includes washer/dryer. Will not last long at this price. Come see today!"